Over the last few decades there has been a growing interest in studying interactions between art and vision. An increasing number of publications (articles, books, special issues) and meetings (workshops, symposia) have encouraged researchers, scholars and students to gather together in a unitary community that can cooperate, discuss and develop new scientific perspectives in this complex and intriguing new field. The Visual Science of Art Conference (VSAC) emerged as a natural consequence of the development and maturation of this community. It was initiated as a biannual, worldwide academic conference by Baingio Pinna in 2012 with the aim of contributing to the scientific study of interactions between vision science and art. The first VSAC was a satellite meeting to the 36th European Conference on Visual Perception (ECVP) held in Sardinia, Italy. VSAC welcomes all kinds of work and approaches, from phenomenological to biological and computational, exploring the link between the science of perception and the visual arts. It also includes studies that might suggest new ideas and new findings useful for the experimental foundation of a Visual Science of Art. 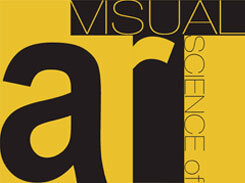 Specifically, VSAC is aimed at a deeper understanding of vision, art, and their relationship based on the observation that both visual science and visual arts (i) explore visual perception through its main properties - color, spatial vision, shape, visual organization, depth and motion; (ii) analyze and create a large variety of phenomena that involve a range of objects, from the simplest possible to the most complex that involve integration across different sensory modalities; and (iii) answer different but related questions about how and why we see the way we do. NEW! Abstract submission deadline extended to May 18!